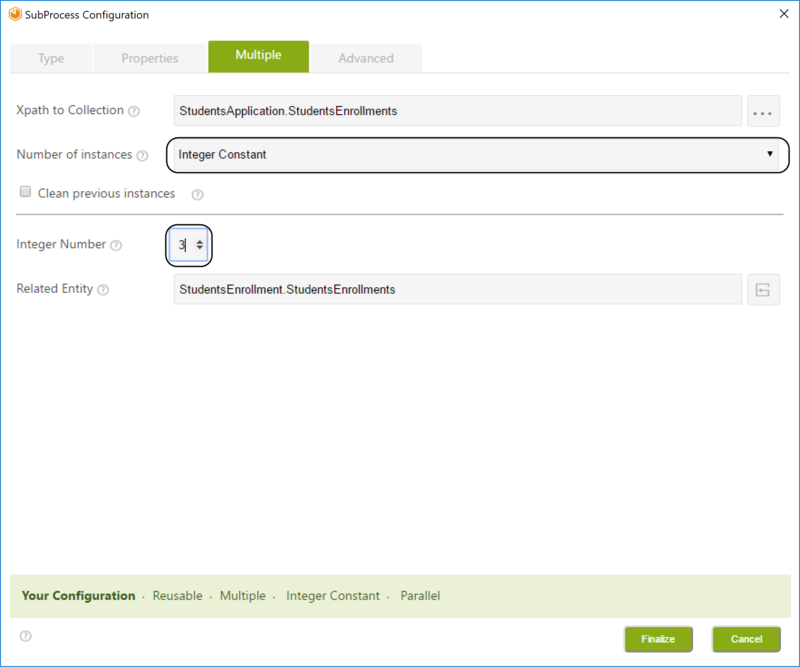 When using the Integer Constant option, instead of Items in Collection, the number of instances created will always match the number specified. It can be selected when configuring a new Sub-Process and it is only visible when Advanced Settings has been selected. 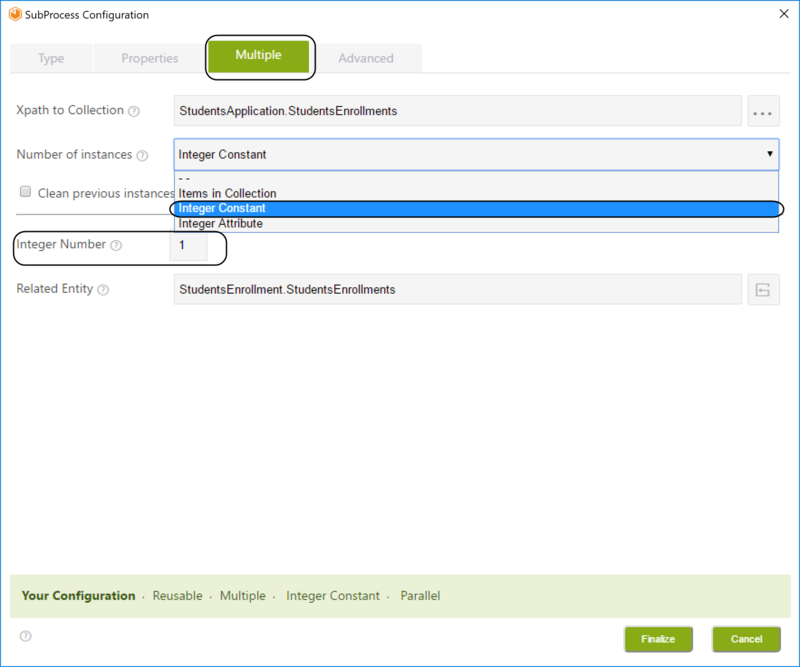 It is only visible for Reusable processes set as Multiple. In a car showroom, an after-sell activity is performed, controlling the necessary preparations previous to a car delivery. A car vendor requests the car preparation in order to be ready before the established deadline. Car preparations is distributed amongst service personnel whose activities are performed and registered at start and end, in order to keep track of times and when the vehicle is ready to be checked. Due to a business rule, the activities performed are three (3), therefore, selecting an integer constant allows you to keep only three activities working at the same time. 1. In order to configure the Sub-Process, right-click it and select Configure Sub-Process. 2. Select the Integer Constant option of the Number of Instances drop down list. This will show the Integer Constant field to provide the exact number of instances you want to be created each time the Sub-Process starts. 4. This will enable you to create three activities and let them continue at the same time. •If your process provides information for less than the selected quantity of instances, those will still be created with null information.